Plastic Surgery procedures of the face are either cosmetic or reconstructive. 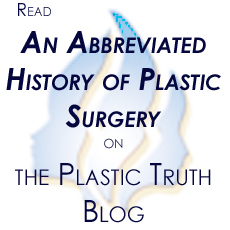 Plastic surgery was born from the creative techniques to correct injuries or congenital deformities of the face. 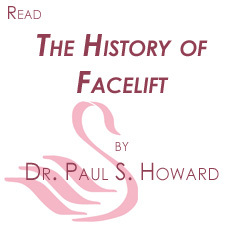 From those discoveries, cosmetic procedures were born. Thus, Plastic Surgery training consists of both reconstructive procedures to restore function and cosmetic procedures due to the similarities in both to achieve a more aesthetically pleasing result. Blepharoplasty or Eyelid Surgery – A surgical procedure to reshape the upper and/or lower eyelids either for aesthetic reasons or to restore function to the upper eyelids. Brow Lift– A surgical procedure to restore the elevation of the brow either for cosmetic appearance or for functional purposes. Chin Augmentation or Genioplasty – A surgical procedure to create a more aesthetically pleasing appearance of the chin either by use of an implant or advancing the jawbone. Cheek Augmentation – a cosmetic procedure to augment the area of the cheek by use of an implant, artificial fillers, or fat injections. Chemical Peel – A cosmetic procedure to reduce the appearance of acne scars, fine lines and wrinkles by the use of a topical chemical. Dermabrasion - a surgical procedure to resurface the skin to reduce the appearance of acne scars, and/or wrinkles. Facelift or Rhytidectomy – A cosmetic procedure to remove signs of aging in the face such as wrinkles, sagging jowls, and cheeks. Facial Fillers: Collagen Injections, Botox – Temporary artificial fillers commonly injected to areas of the face to reduce the signs of aging. Fat Injections – The process of harvesting fat from one area of the body and grafting it to another area to either restore or enhance for aesthetic purposes. Hair Restoration – A procedure to restore areas of the scalp due to hair loss. Laser Resurfacing – A procedure to reduce the appearance of wrinkles, acne scars, freckles, and fine lines through the use of laser technology. Lip Augmentation – A cosmetic procedure to enhance the appearance of the lips by use of an implant, fat injections, or temporary fillers. Neck Lift - A cosmetic procedure to lift and tightening loose skin and muscles in the neck. Otoplasty or Ear Pinning Surgery – A surgical procedure to reduce the size and/or reduce the projection of the ears. Rhinoplasty - A surgical procedure to alter the appearance of the nose to a more aesthetically pleasing appearance . Congenital Deformities - Cleft Lip/Palate, Craniosynostosis, Cruzon Syndrome – Reconstructive procedures to restore the functionality of the face such as the mouth, cheeks, chin, nose, eyes, ears (Microtia), and skull (Plagiocephaly). Facial Fractures – Reconstructive surgery to address fractures of the face due to trauma. Otoplasty or Ear Pinning Surgery – A surgical procedure to reduce the size and/or reduce the projection of the ears often covered by insurance as a reconstructive procedure in children. Scar Revision – Procedures to revise the appearance of facial scars may include surgical exicision, dermabrasion, laser resurfacing, and/or chemical peel. Wound Care – Plastic surgeons are highly skilled in wound care due to burns, disease, and injury. Septoplasty – A surgical procedure to restore function to the nose. Eyelid Surgery and/ or Brow Ptosis– Surgical procedures to help restore visual function by removing excess skin from the upper eyelids or elevating the brow that is creating a loss in the visual field. These procedures are sometimes covered by insurance plans, but prior authorization is usually required.